As the February 8th release date of their self-titled début album via Metal Assault Records nears, L.A.’s atmospheric post-metal unit DAWN FADES announces a series of upcoming live performances. 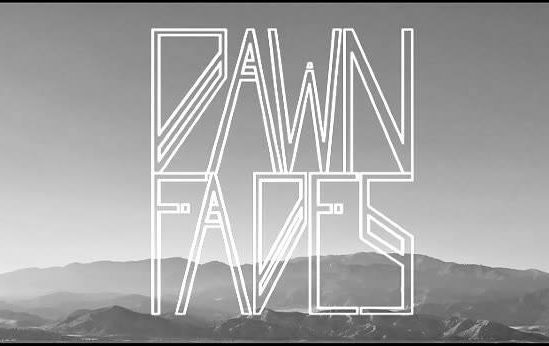 To promote the release (reviewed last month HERE at Riff Relevant), DAWN FADES will embark upon a U.S. west coast mini-tour in late February and running into early March. They will be joined upon the jaunt by their fellow post-metallers KARAS, also from Los Angeles, following the pair’s appearance together at DAWN FADES‘ album release show in Pasadena on February 16th. To celebrate the nearing release of their album, DAWN FADES are unveiling a new song from the effort at this time, “See“. The track, like all of those from the band – Sam Sherwood (vocals), Adam El-Gerbi (guitar), Markus Erren Pardiñas (bass), Scott Quist (drums), and Nate Hertweck (guitar) – captures the quintet’s hypnotically alluring take on experimentally-imbued music. Rippling with atmospheric nuances, the progressive nature of these players is on full display musically while the ethereal, black metal style vocalizations are expertly suited to astound. “See” is streaming here for your perusal, while the eponymous recording Dawn Fades will arrive from Metal Assault Records come February 8th. Find all of the upcoming scheduled DAWN FADES performances, including their live support, KARAS, below.